Real Estate Perspective – April 10, 2019 | James Real Estate Services, Inc. Welcome to Real Estate Perspective – real estate market and economic information from over 40 sources in a single, easy-to-read weekly newsletter. Downtown Colorado Inc’s Annual Event – IN THE GAME is a three day interactive educational experience for rural downtown champions. The conference focuses on harnessing national, state, and local resources to expand the way our downtown champions think about attracting tourists, engaging locals, and provide real problem solving opportunities to help overcome challenges. 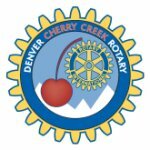 The conference will include keynotes, Colorado Brief sessions, Q&A panels, Challenge Studio Workshops, an exhibitor room, Dine-Around Lunch Sessions, community and local tours, networking opportunities, a financing summit and pitch session, and the Governor’s Awards for Downtown Excellence. What you need to know to leverage the latest technology, design expertise, and product advancements to save your clients several dollars per square foot on workspace buildout & remodeling costs. On April 30 ULI Colorado invites you to explore the opportunity behind Opportunity Zones and how this new financing tool can be catalytic for communities, investors, and developers alike. Lakewood Growth Limit Issue Going to Voters July 2.